Lost Croatian Hall — Found! 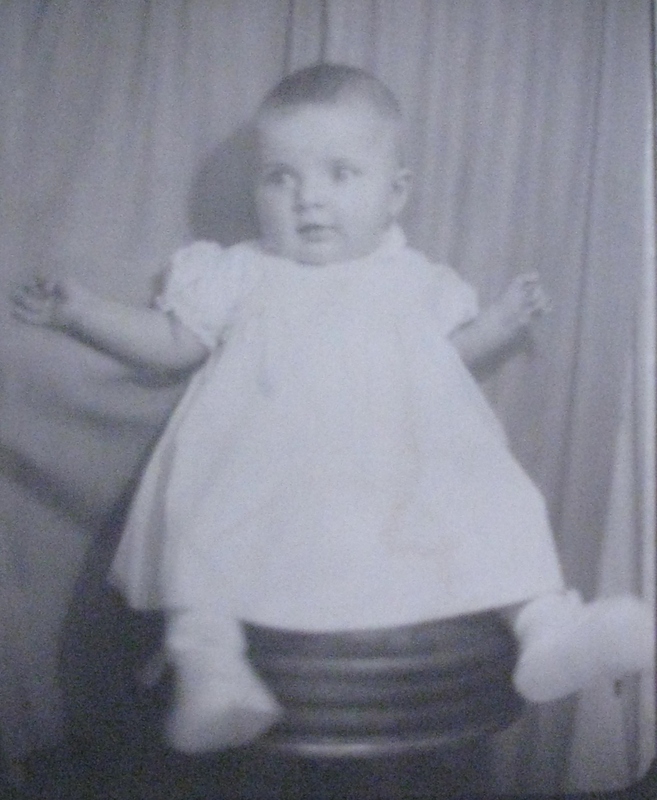 Yours Truly at 5 months old — Kennywood Memories Photo Booth! For years I heard the oft repeated story of how my parents carried me as a newborn to the Croatian Club in Duquesne even before my christening at Sacred Heart Church. In my mind I always pictured the scene taking place at the red and yellowing brick building on the corner of Grant Avenue and Wilmont, my second home while in the junior Tamburizans. When I became old enough to do the math, I realized that this building wasn’t even in existence until approximately 1962, four years after I was born. Before that time the American-Croatian Club was located at 10 Hamilton Avenue, just off the west side of Duquesne Boulevard near the tracks. Several of my readers have made mention of remembering this location and memories made there. But, did you know? This was NOT the original Croatian Club in Duquesne! Previous to this location there was a Croatian Hall located on Superior Street, in the neighborhood “below the tracks”! In my spare time I attempt to index marriages from Duquesne Times newspapers as a contribution to the Mifflin Township Historical Society. I say attempt, because I don’t get very far before I am side-tracked by some intriguing tangential piece of information. It seems anything Croatian catches my eye. At one time the Croatian Hall on Superior Street was a hoppin’ place. Croatians, Serbians, and other groups used the hall as a venue for parties, dances, speeches, meetings, charitable events, basketball games, and even boxing matches. After scrolling past a few-too-many event announcements about the Superior Street Croatian Hall, I became stir crazy to find the specific location – Where on Superior Street was this hall???? Finally at long last, while indexing marriages, my eye caught a glimpse of a very important piece of information – I could not believe what I saw – the address for the Croatian Hall at 27—29 Superior Street! Eureka! The address of the Croatian Hall below the tracks appears in this Duquesne Times article dated 12 June 1931. Paper courtesy of Mifflin Township Historical Society. So much for indexing – again! Time to get out the old maps and take a gander at the panoramic photo of Duquesne posted by Jim Volk a couple of months ago. This was such an EXCITING FIND that I wanted to share it with all those who sprang from Duquesne Croatian roots – THIS was where OUR founding fathers and mothers gathered to have fun and to determine our destinies. The photo below was cropped from the 1938 Duquesne Panorama published in the Duquesne Hunky post entitled “Where’s Waldo in Duquesne? ?” I labeled some of the buildings by using a 1925 map, so they may have been called something different in the 1930s. However, the edifice which was once the Croatian Hall is clearly identifiable in the photo. I do not have conclusive evidence as to when the hall was built or when it migrated to the address near Hamilton and the tracks. We can conjecture that it moved westward near the time of the mill expansion in 1941, because the Superior Street location was still referred to in newspaper clips from that year, but my indexing has not yet taken me to information about when it was constructed. Where did your ancestors live prior to 1941? Have you checked the census records online? Feel free to compare this page to some of my other posts, along with 1930 and 1940 Census records, and see what you can piece together. Perhaps you can locate the house of your grandparents or great-grandparents near the original Croatian Hall of Duquesne. Good Luck! Be sure to leave some comments about what you discover! Search Free Census Records at Family Search. Duquesne’s Below the Tracks Neighborhood in 1938. Courtesy of John Berta via the Duquesne Hunky, Jim Volk. CLICK THE PHOTO TO ENLARGE! !